A Buxton-based shopping centre is encouraging customers to continue helping with donations for a Christmas campaign, after seeing a fantastic response so far. 475 presents have already been donated to the Reverse Santa campaign, which is a partnership scheme between The Springs Shopping Centre and Derbyshire County Council Children & Younger Adults Department. Gifts can be donated at the shopping centre and are sent to Derbyshire County Council, who then distribute them to local children in need. Although a huge number of presents have already been donated there are still many local children who are in need of donations, and The Springs is particularly keen to encourage donations of presents for older children and teenagers. 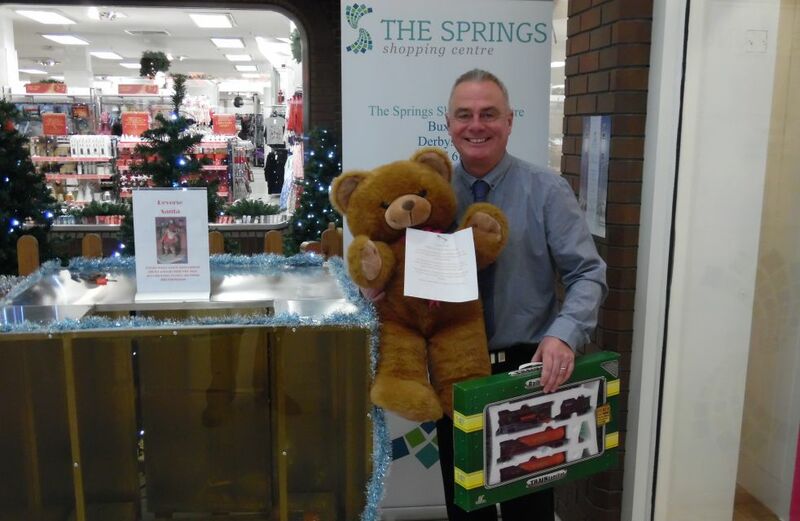 Centre Manager for The Springs Shopping Centre, Carlon Stewart, said: “The Reverse Santa campaign has been a popular scheme for a number of years at the centre and this year we have already had a fantastic response from many generous people. “To already have 475 presents donated is wonderful and every present donated will make a real difference to a child’s Christmas. If you would like to donate a gift to the Reverse Santa campaign, please visit The Springs Shopping Centre, where you will find a collection box located next to Evans. All gifts donated should be new and unwrapped when deposited.